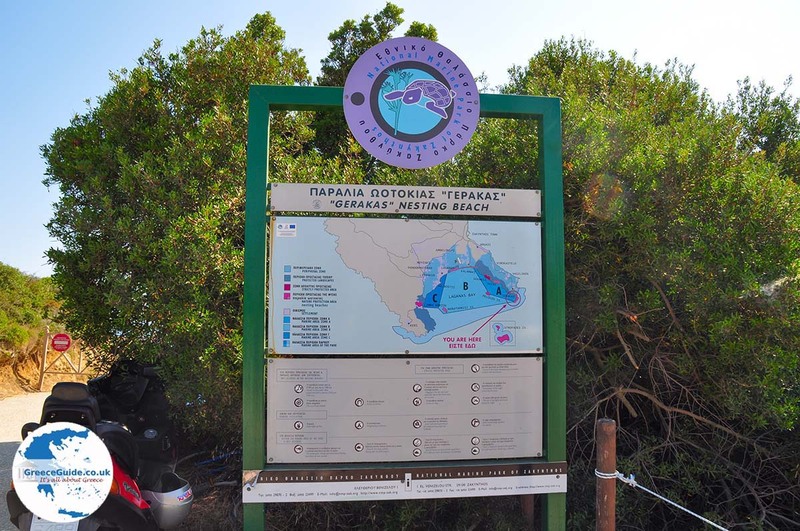 Gerakas. 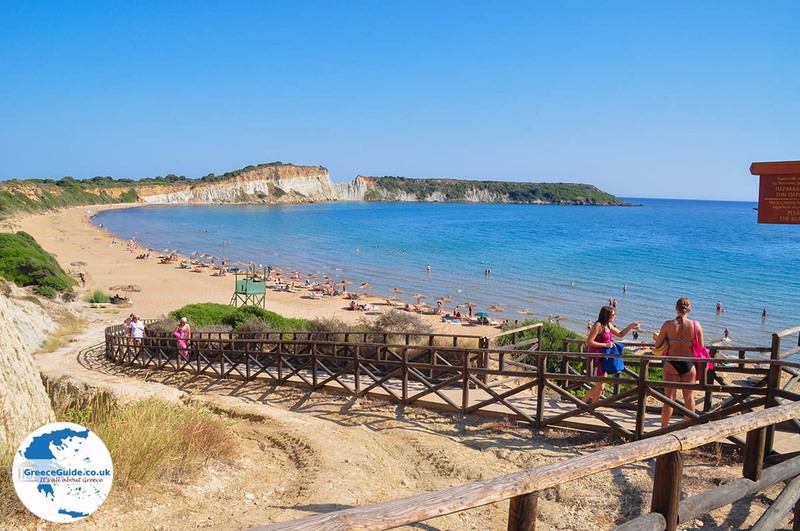 Gerakas is a beach all the way south of Zakynthos, in the region of Vassilikos, 16 km from Zakynthos town. 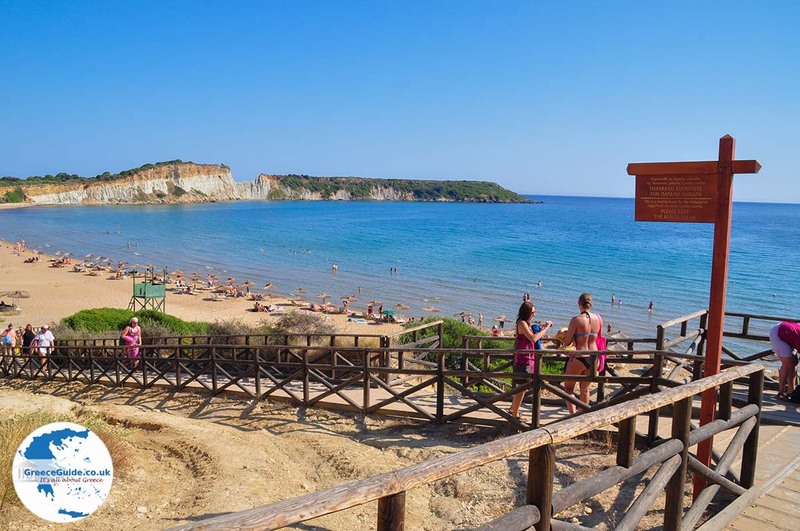 It is a beautiful sandy beach, set in a semi-circular bay and surrounded by white cliffs. 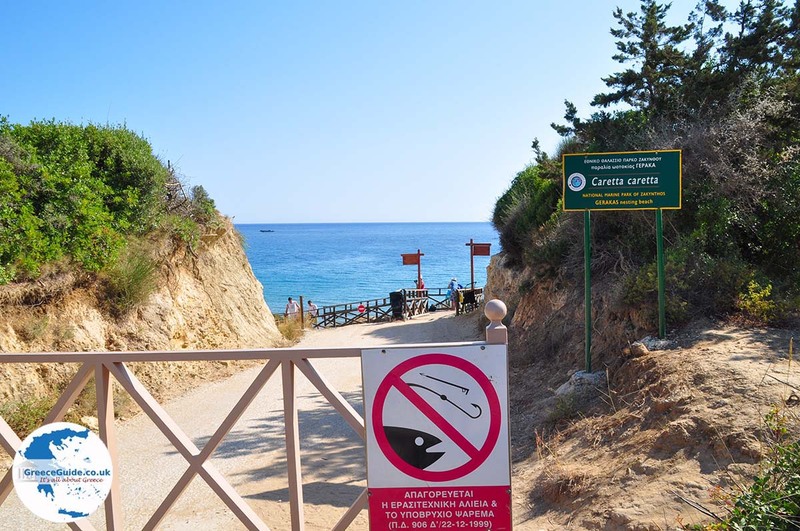 Gerakas beach is one of the beaches of Zakynthos where Caretta-Caretta turtles are laying their eggs. 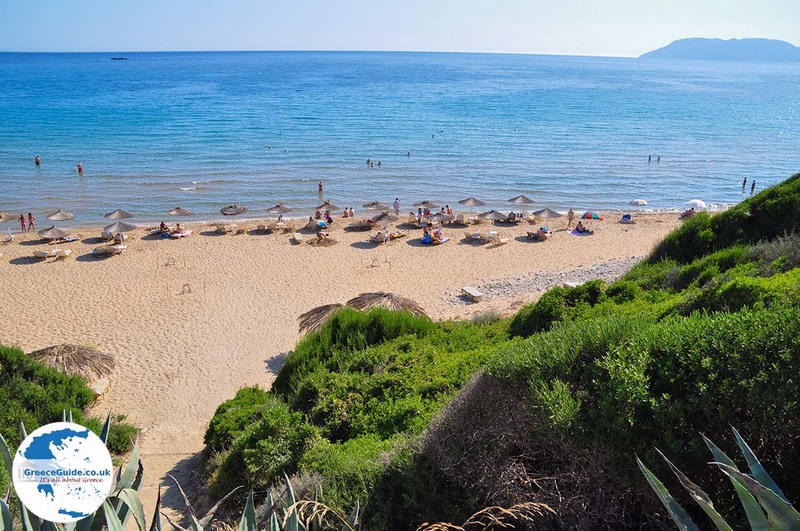 In summer, Gerakas is visited by many tourists. 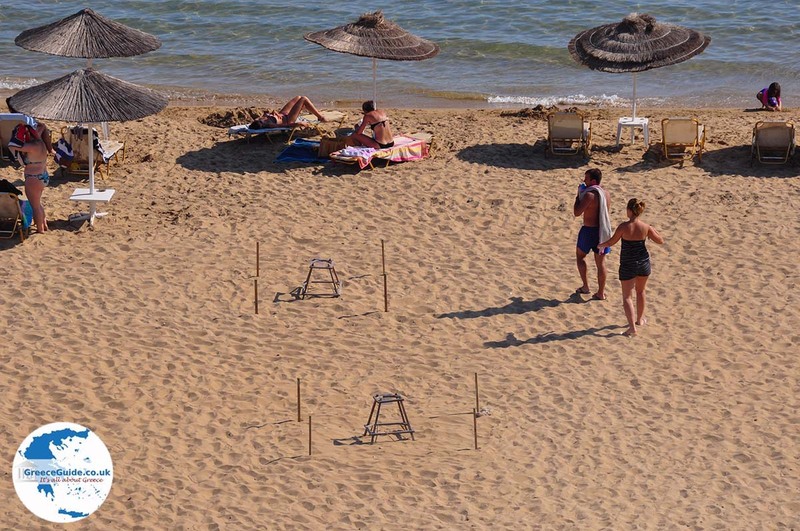 The beach is well-organized and there are sun loungers and parasols for hire. 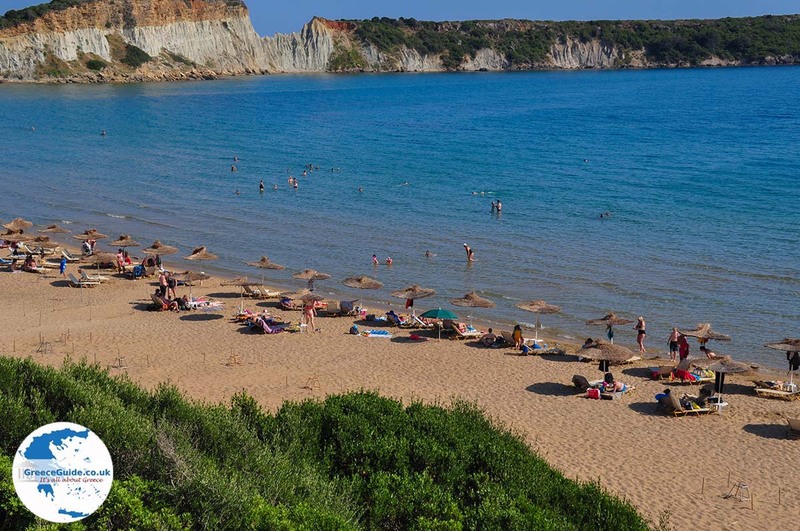 The water is shallow making it ideal for families with small children. 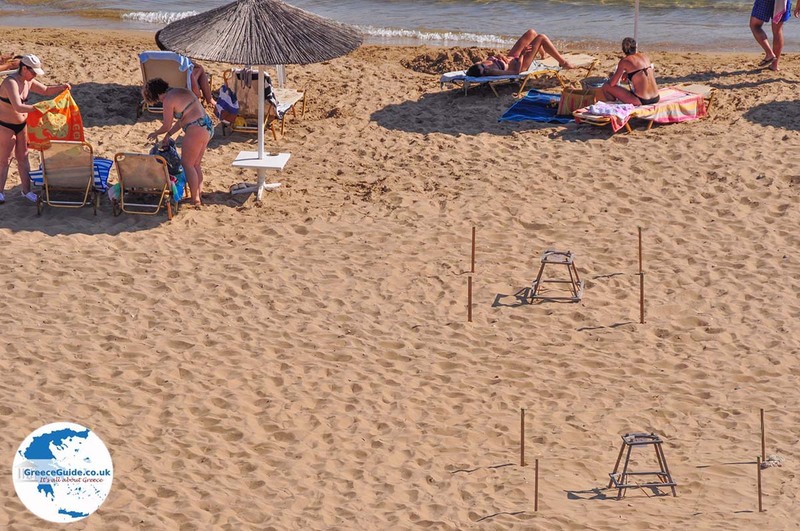 Water sports are not possible, to water sport you have to go to St. Nicolas beach which is 3 km away. 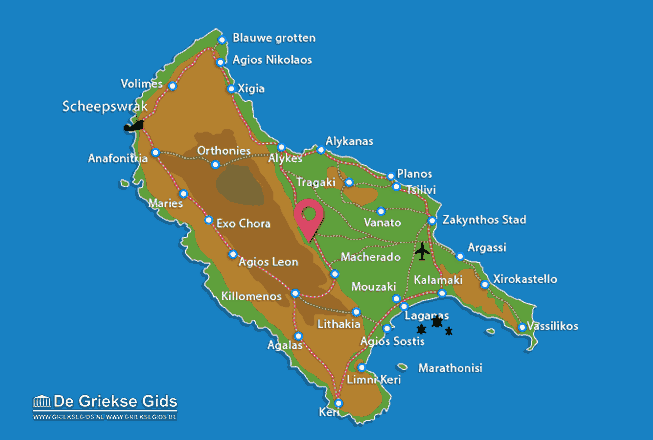 Zakynthos: Where on the map is Gerakas located?